Happy New Year! Here we are in 2019 – wow. We’re now into the years that were the future in the sci-fi movies of my childhood. I’m trying to let that sink in. 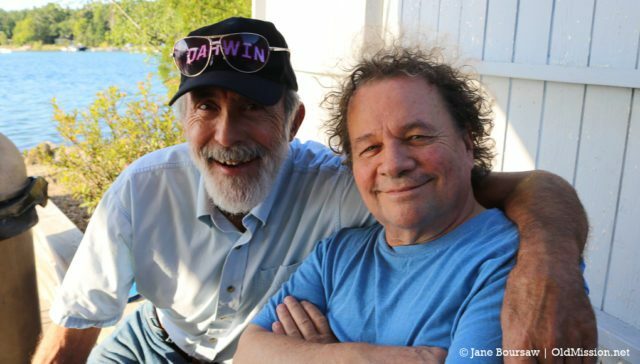 Meanwhile, as we move into the new year, let’s take a look at the top Old Mission Peninsula stories we reported on in 2018. 1. Construction Begins on New Peninsula Community Library. 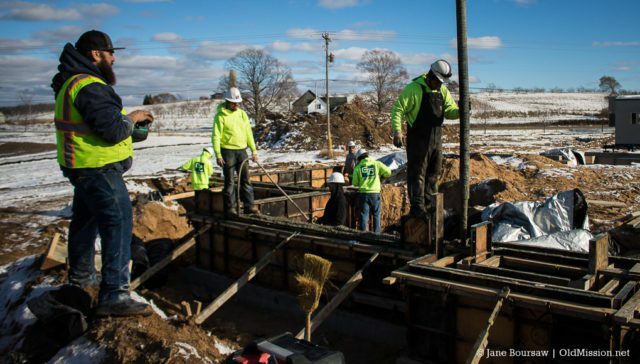 In April, the Peninsula Township Board approved a special use permit for the new library, a groundbreaking ceremony was held in October, and construction began in November. Friends of PCL donated $35,000, and we talked with Tim Carroll about his donation towards the History Room. Fundraising continues as the building begins to take shape on the corner of Island View Road and Center Road. 2. New Township Planner, Clerk Hired. In April, Peninsula Township Planner Brian VanDenBrand resigned, and in June, Randy Mielnik began his new job as the planning director. 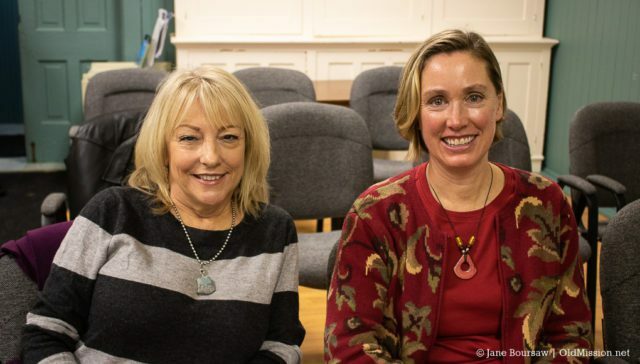 In September, the Township Clerk resigned, and Rebecca Chown was hired to fill that job, with Robin Noval signing on as Deputy Clerk. Chown will be sworn in tomorrow at 9 a.m. Also, Todd Oosterhouse and Lawrence Dloski were appointed to the Planning Commision. 3. Fire Department Upgrades to Advanced Life Support. In October, the Fire Department became certified for Advanced Life Support, enabling them to save more lives and better serve township residents. In September, they hosted an open house to celebrate upgrades and staffing at Fire Station 2. 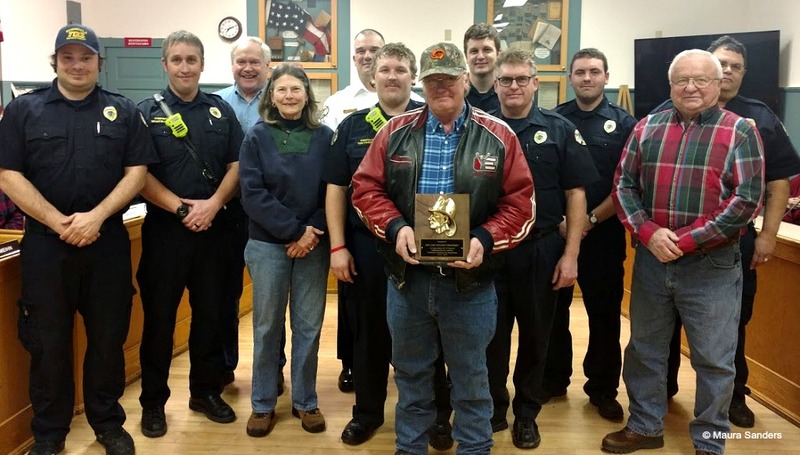 And in March, former fire chiefs Randy Rittenhouse and Rich VanderMey were honored by the Peninsula Township Board. The Fire Department continues to add new staff and are exploring the possibility of a Fire Station 3 near Haserot Beach. 4. Old Mission Women’s Club Awards Grants. In April, the 88-year-old club awarded $12,000 in grants to local organizations, including Old Mission American Legion Post #399, Peninsula Community Library, Old Mission Peninsula Education Foundation and others. 5. Josh Wunsch Passes Away. 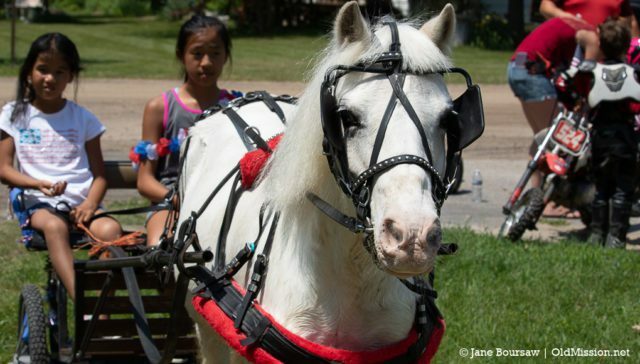 In May, the community gathered to celebrate the life of Josh Wunsch, a lifelong Old Mission Peninsula farmer who helped to establish the Purchase of Development Rights program, among many other achievements. Josh died as the result of a massive stroke and will be greatly missed. 6. Flooding Plagues Village of Old Mission. 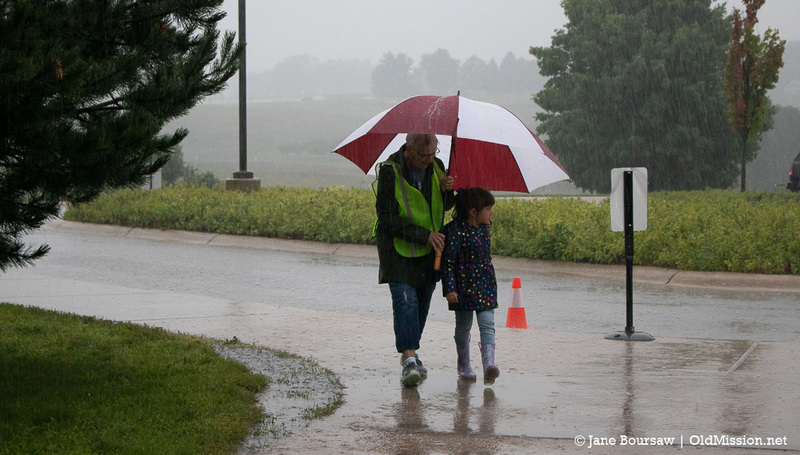 In May, the villagers of Old Mission were swamped – literally. Basements flooded and fish were actually swimming in the field near the corner of Mission Road and Swaney Road, thanks to an overgrown drainage ditch and April snow melt. Grand Traverse County Drain Commissioner Steve Largent held a meeting at the American Legion hall to discuss solutions. 7. Consumers Energy Makes Upgrades. In May, Consumers Energy began upgrading the electrical system on Center Road. 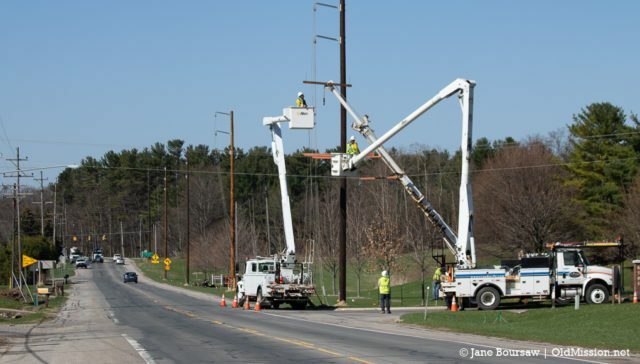 The upgrades, which will help to avoid long-term outages, included rebuilding the high-voltage electric distribution line. 8. Bayshore Marathon Racers Hit the Roads. 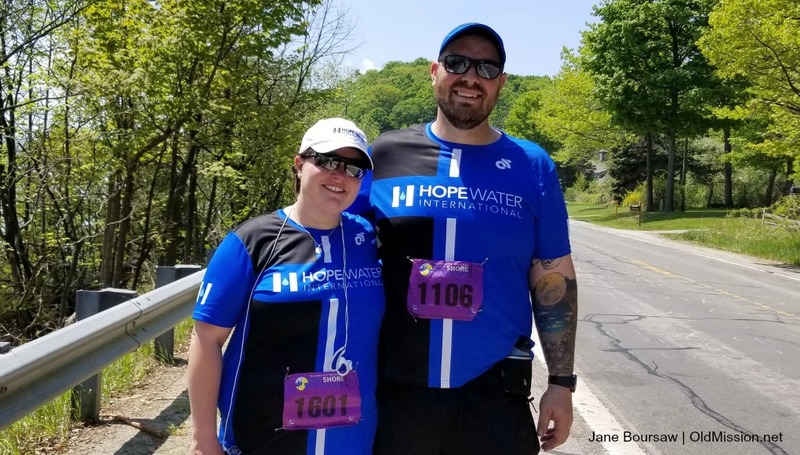 In May, the annual Bayshore Marathon was held, and in August the organization presented a $25,000 grant to Peninsula Township. Take a look at some photos of the event. Also, the Endurance Evolution Triathlon (not associated with the Bayshore Marathon) held their event in August. 9. Fire Ravages Smokey Hollow Hillside. 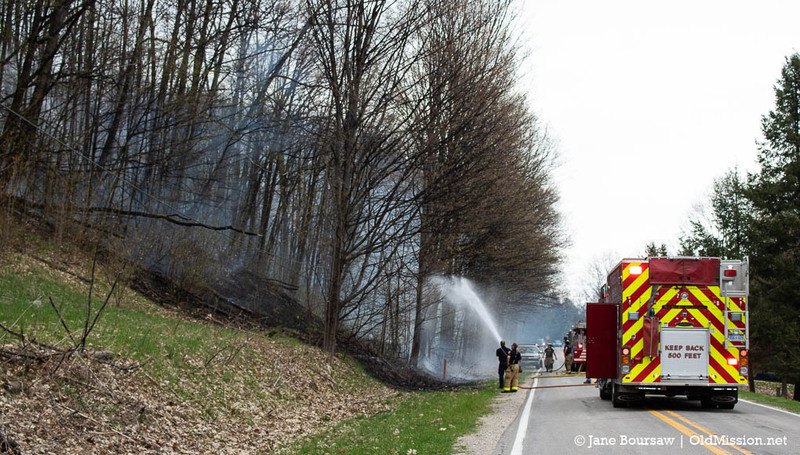 In May, a wildfire spread quickly through a hillside on the north end of Smokey Hollow Road. The crew at Peninsula Fire Department were on the job and quickly put the fire out. 10. Work Begins on The 81 on East Bay. 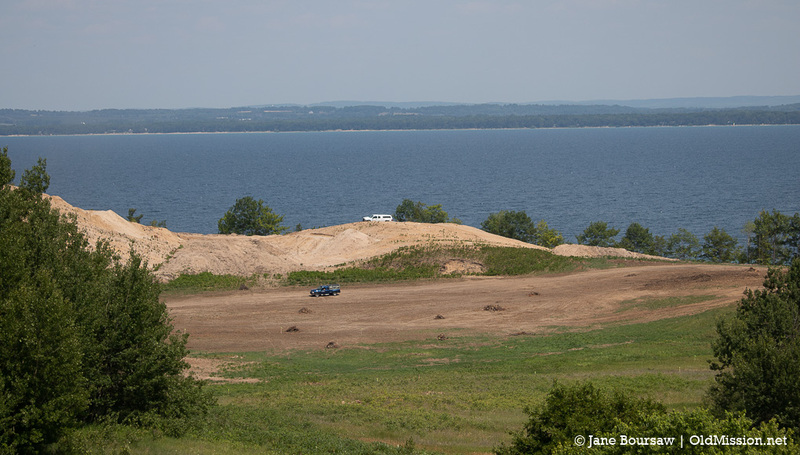 Work began on the much-debated development on the corner of Boursaw Road and Bluff Road. 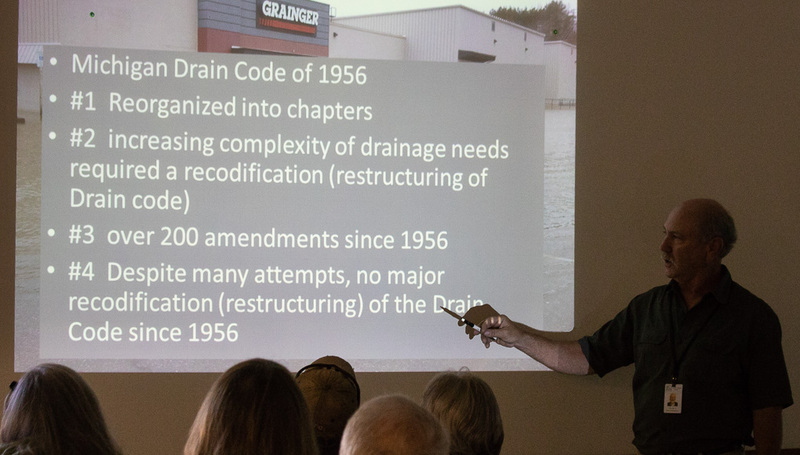 In June, we interviewed developer Kyle O’Grady, who discussed their lawsuit against Peninsula Township, among other issues. 11. 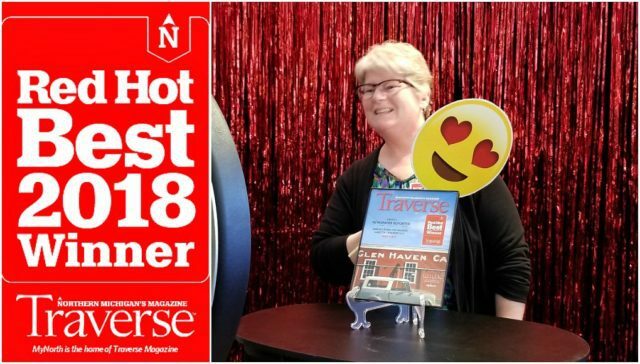 Old Mission Gazette Wins Awards. In April, we won an award for investigative journalism from the Northern Michigan Environmental Action Council (NMEAC), and in May, we won a Red Hot Best of Northern Michigan Award. We’re very honored! 12. Township Halts Haserot Beach Party. 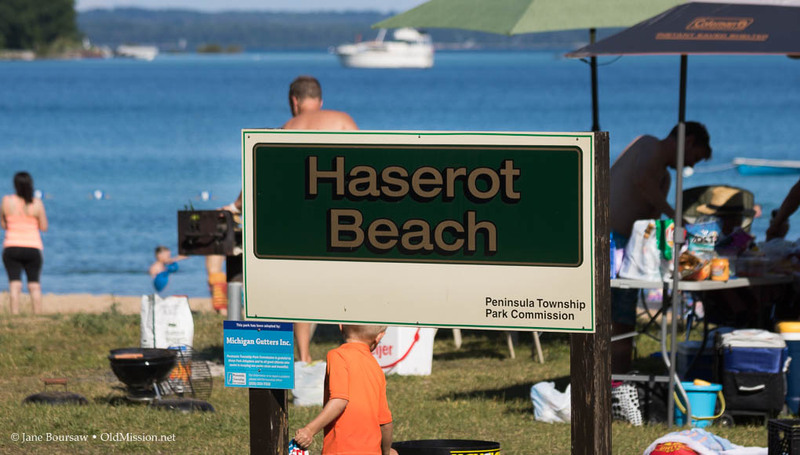 In June, Peninsula Township officials were made aware of a party at Haserot Beach planned by Old Mission Living Magazine (not affiliated with Old Mission Gazette) and quickly put a stop to the event. 13. Old Mission Parade Held. In July, the fourth annual Old Mission/Bay Street Parade was held in celebration of Independence Day. Check out some photos of the fun event. 14. Log Cabin Day Held. 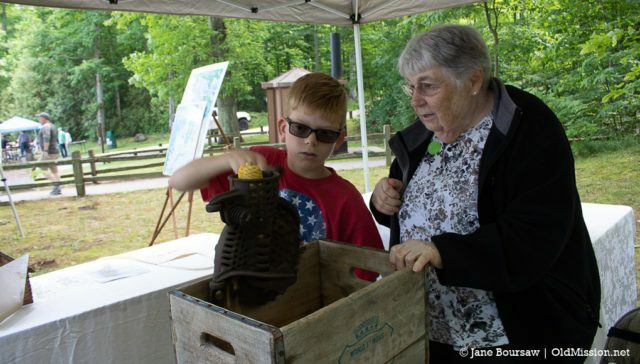 In July, the annual Log Cabin Day was held at Lighthouse Park and the Dougherty Home. Take a look at a few photos of the event. 15. Storm Blows Through Old Mission Peninsula. In August, a windstorm tore through the Peninsula. 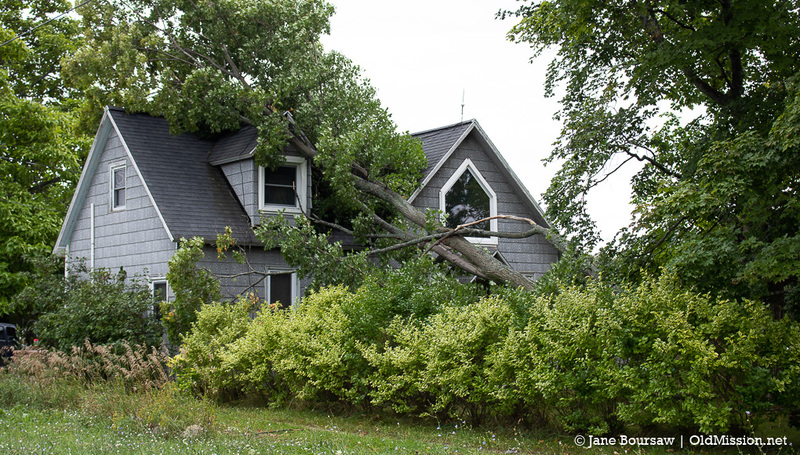 While not as severe as the 2015 storm, this year’s storm downed trees and caused power outtages and damage around the Peninsula. Check out a few photos. 16. Old Mission Peninsula School (OMPS) Opens as a Charter School. In September, OMPS officially opened its doors as a charter school through Grand Valley State University. 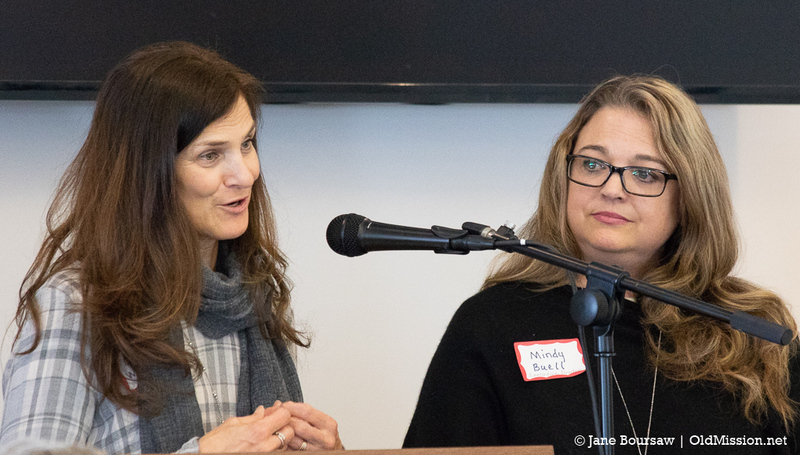 This followed an emotional ribbon-cutting ceremony in July, marking the transfer of ownership from the Traverse City Area Public Schools (TCAPS) to the Old Mission Peninsula Education Foundation. 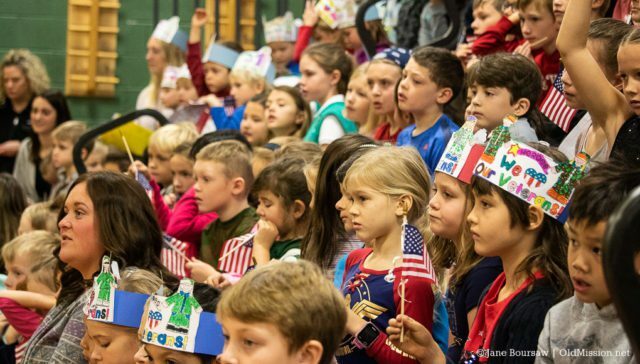 In October, the school hosted a fun Pumpkin Walk and Haunted Library with Peninsula Community Library, and in November, local veterans were honored at a poignant Veteran’s Day ceremony. The school also began hosting Friday Farm & Art Markets. 17. Peninsula Voters Approve Park Proposal. 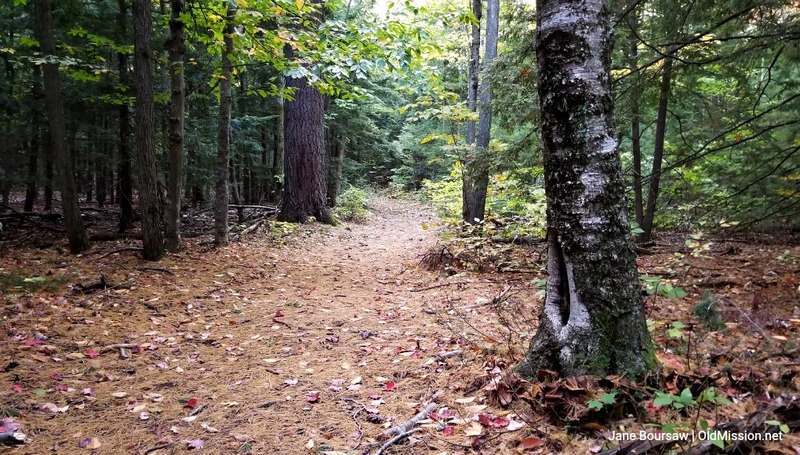 In the November election, Peninsula Township voters approved a plan to dissolve the Park Commission and transfer all powers, duties, assets and liabilities to the Township Board. Read more this and other election results here. 18. Pelizzari Park Gets New Trees. 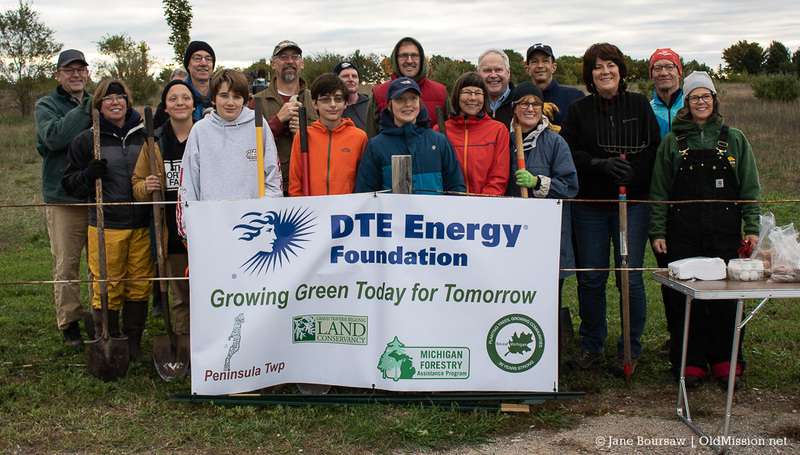 In October, volunteers planted 20 new trees at the park, and in May, Leonard Chown organized volunteers to plant 120 new white pine trees. 19. 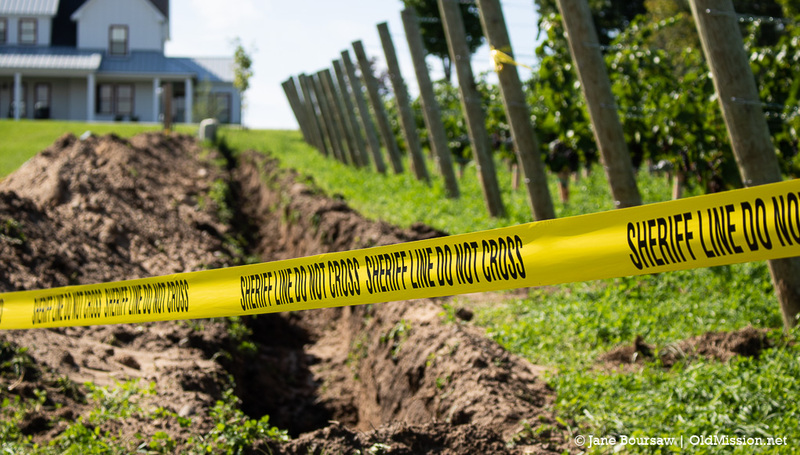 Human Bones Found in Old Mission. In September, human bones were uncovered in an agricultural parcel next to the Old Mission General Store. In December, we talked with the forensic anthropologist who’s studying the bones (and discovered something surprising). 20. OMPS Hosts Boots & Bling Fundraiser. 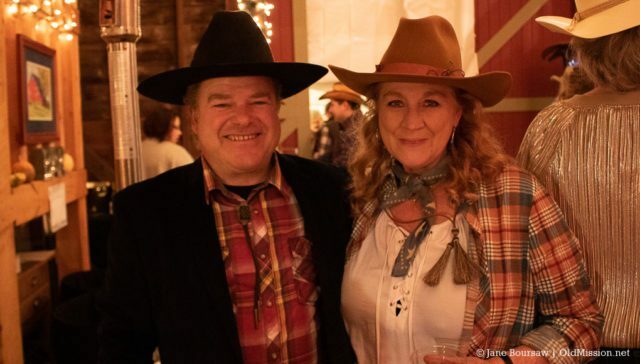 In November, the Old Mission Peninsula School PTO organized a fundraiser at Bewitched Farm which included a silent auction, line dancing and tons of fun. See photos here.